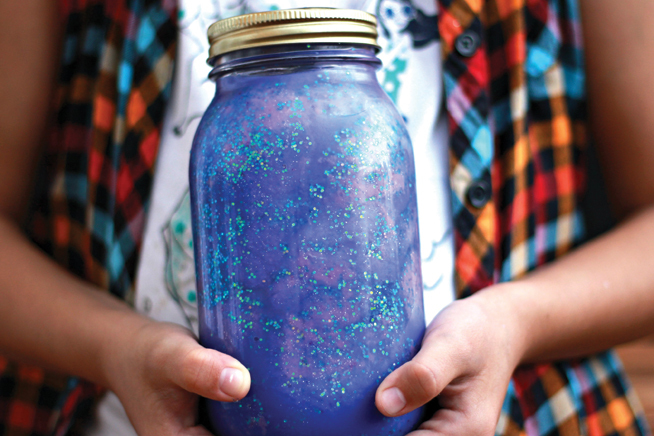 Organised by lifestyle consultancy group Innerseed, this camp teaches kids about self-health and mindful living and develops skills to prepare them for a stronger school year ahead. 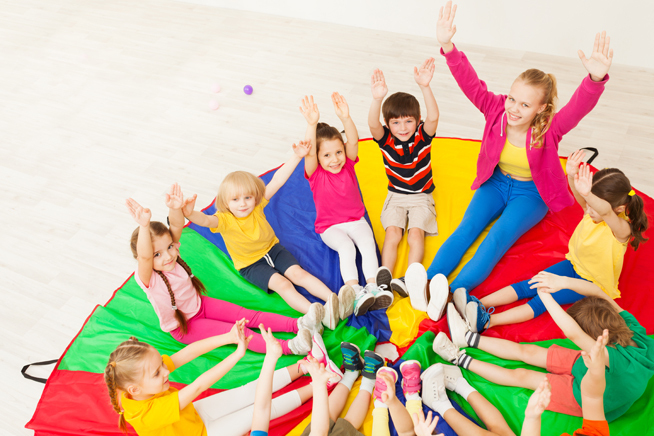 Sessions build self-confidence and work on children’s social skills to help manage their emotions and make friends. Al Forsan’s summer camp offers a variety of activities including martial arts, basketball, swimming, volleyball, football, and arts and crafts. The camp is divided into three age groups, catering to children aged four to 14 years. An early drop-off from 7.30am to 9am will cost Dhs20 extra and if you’d like to pick your kids up between 3pm to 5.30pm, you can do for an additional Dhs30. Lunch can also be provided as part of the package. Brighton College’s summer camp with Advantage Sports starts on July 8 this year and parents can enroll their kids for day sessions, weekly camps or a full eight weeks. The programme keeps nippers active while also educating their grey matter. Activities include tennis, swimming, football, gymnastics, dance, arts and crafts as well as quizzes and games, a treasure hunt and a mini Olympics. Students at the school get ten per cent discount. 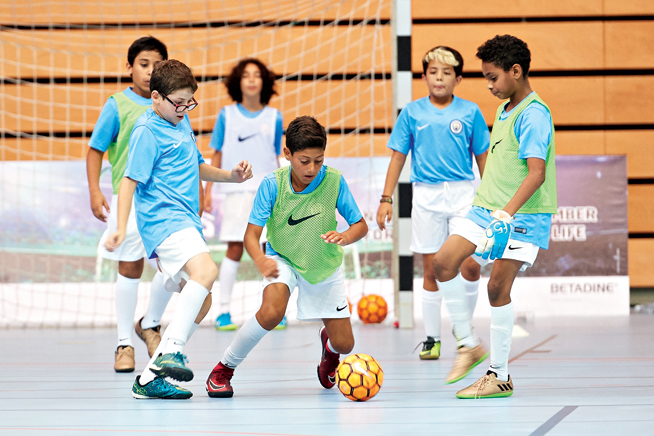 The capital’s relationship with English Premier League champions Manchester City is well documented, and kids can get a flavour of it at Zayed Sports City. Footballers aged six to 12 years can improve their football skills with drills and games, stay healthy and make friends at this fun camp which is led by professional coaches. 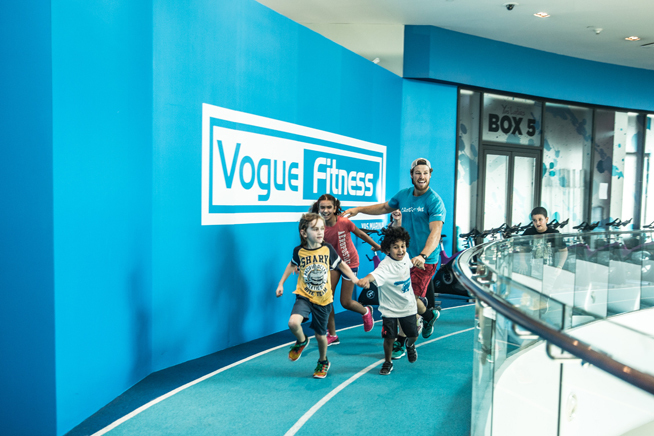 There’s plenty of activities to get your kids’ hearts racing and their legs moving at Vogue Fitness’ four-day summer camp in sunny Yas Marina, including Crossfit, rope climbing, dodgeball and bulldog games, arts and crafts and cooking classes. Parents who sign up two children can save a few dirhams as well – you’ll get a ten per cent discount. Zayed Sports City has been holding summer camps for kids for several years now, and this one is designed for nippers aged five years to 12. The week-long sessions take place daily and have activities such as bowling, ice skating, arts and crafts, indoor sports and teambuilding challenges. 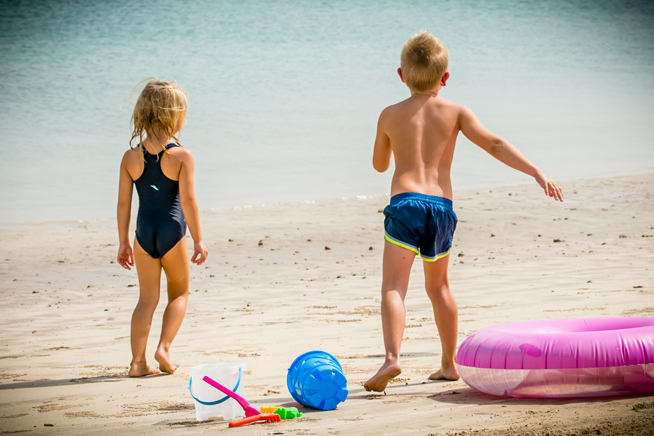 Your children can enjoy a range of water activities including a banana boat ride, island tour and arts and crafts at the Flipper Kids’ Club. Games are age appropriate for children between five to 12 years. 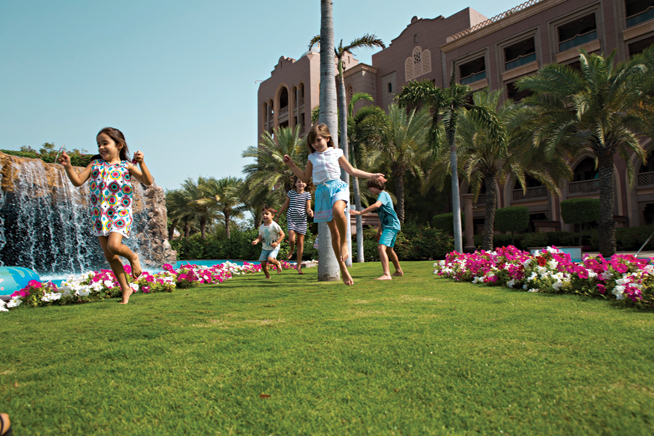 For parents with busy schedules, this Emirates Palace camp is ideal as it offers day sessions as well as weekly sign-ups and siblings can enjoy a 20 per cent discount. Kids aged five to 12 can let off steam and have a go at archery and enjoy Zumba and yoga in the hotel’s regal surroundings. 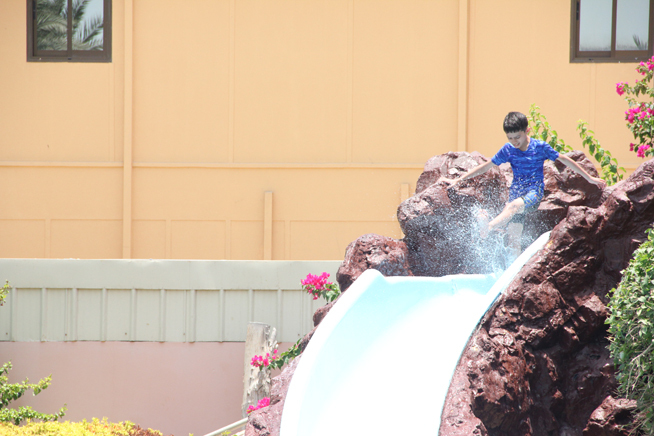 The camp focuses on games and sport such as football as well as water activities including kayaking and wakeboarding. 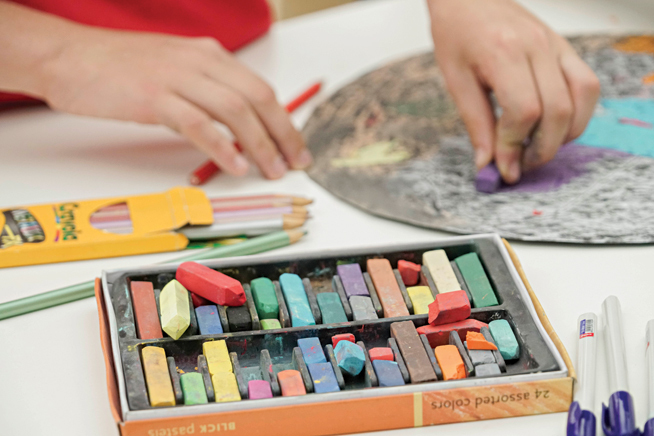 The summer program at Louvre Abu Dhabi is perfect for kids who like to get creative. It’s for children age seven to 15 years and during the five-day camp, they will learn how to express themselves through portraits and enjoy sessions in writing and drawing everyday objects. At the end of the week, they’ll present their work to family and friends. Children can enjoy beach activities, swimming pool games, water sports, squash and tennis lessons, football, Zumba and various arts and crafts and even an island trip at this camp. Lunch is included and parents get a pool and beach pass every day when their child attends the camp. Families who sign up two or more siblings receive a 15 to 20 per cent discount. 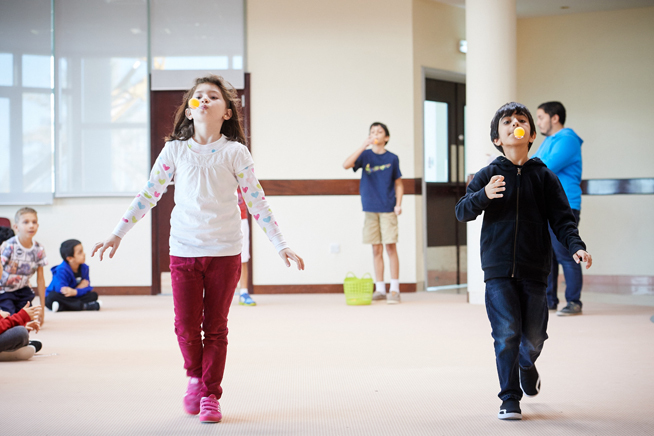 For children with a competitive streak, the Hilton’s summer camp for four to 12 year olds offers a variety of activities including obstacle courses, races and treasure hunts. 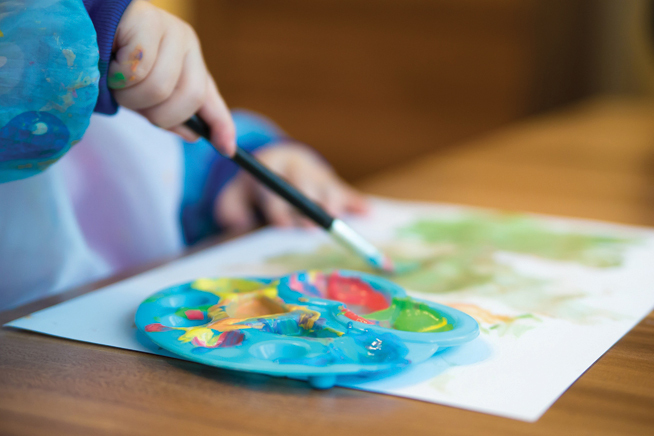 As well as outdoor sports such as beach tennis and trips to Heritage Village, there will also be arts and crafts sessions for children that prefer indoor activities. Offering daily and weekly bookings for busy parents, lunch and snacks are also provided as part of the package. 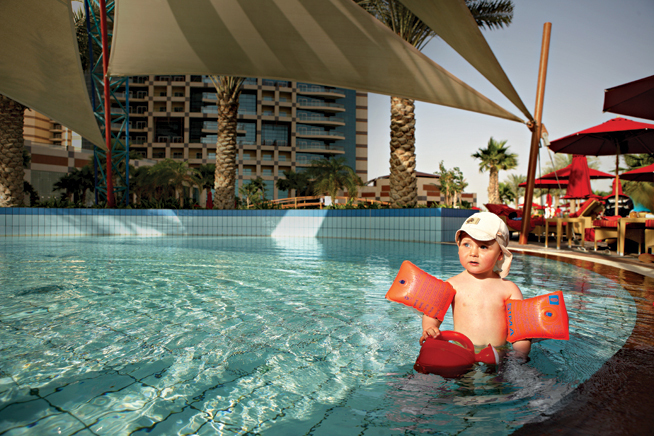 Members of Hiltonia Beach Club get 15 per cent off summer camp rates.